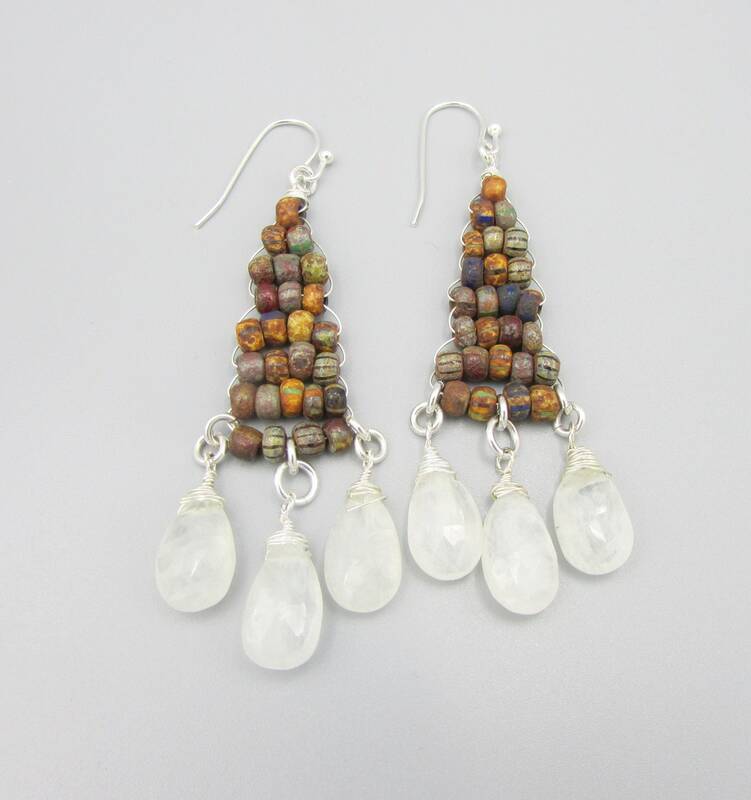 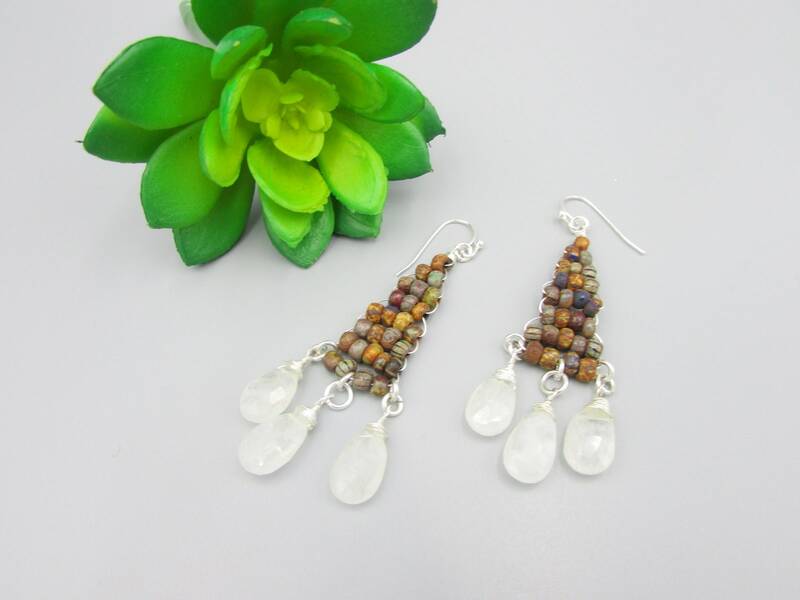 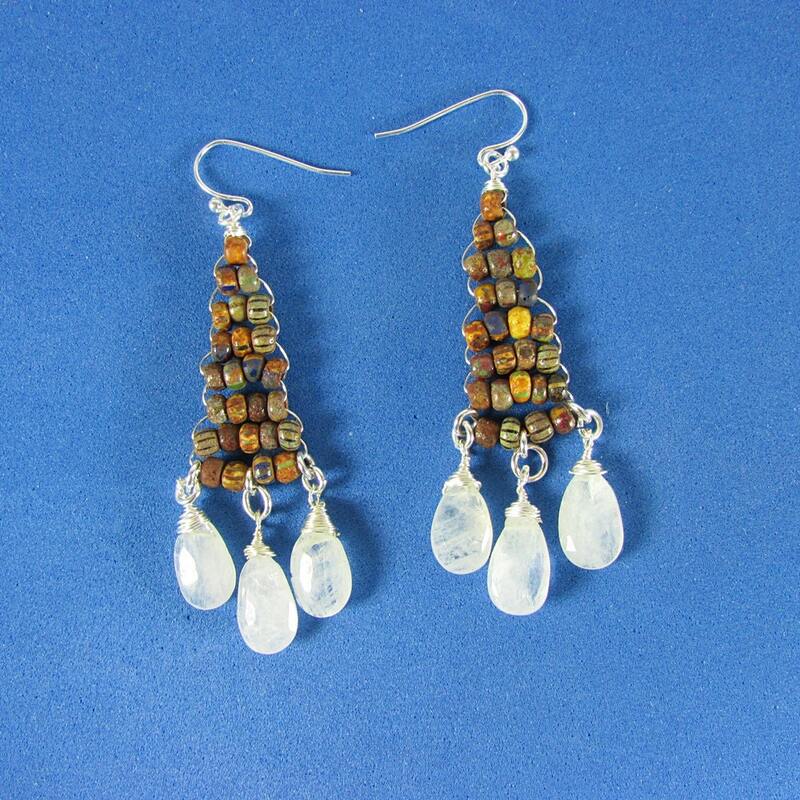 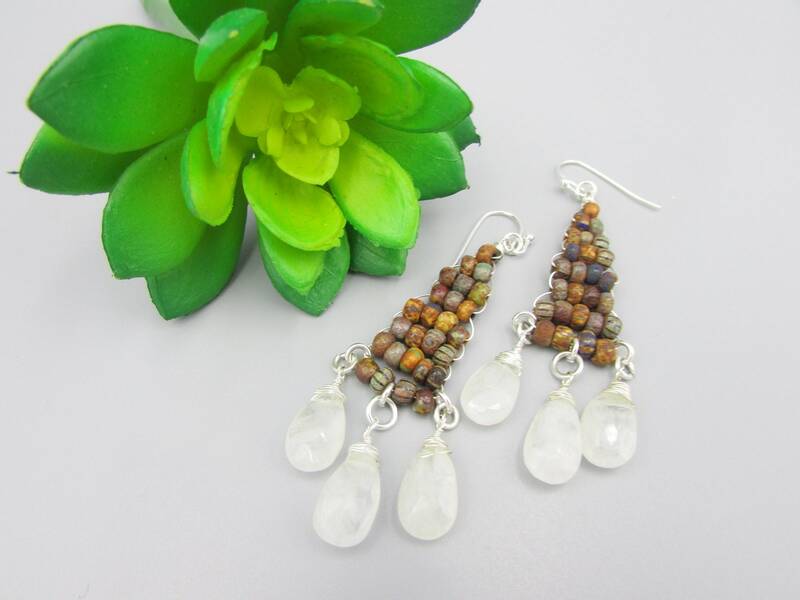 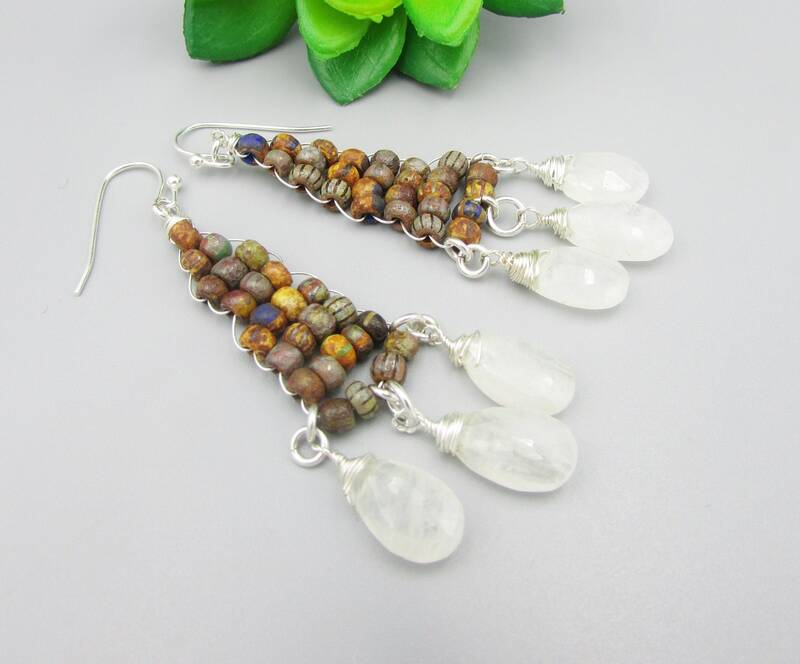 A beautiful long Moonstone dangle earring made with Czech glass beads in earth tone shades and faceted teardrop moonstones. 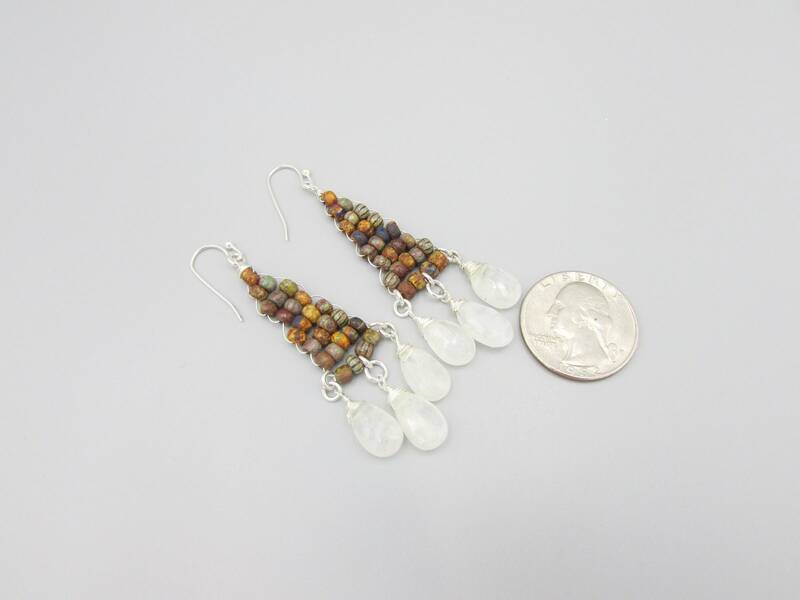 They are approximately 2-1/2 inches long. 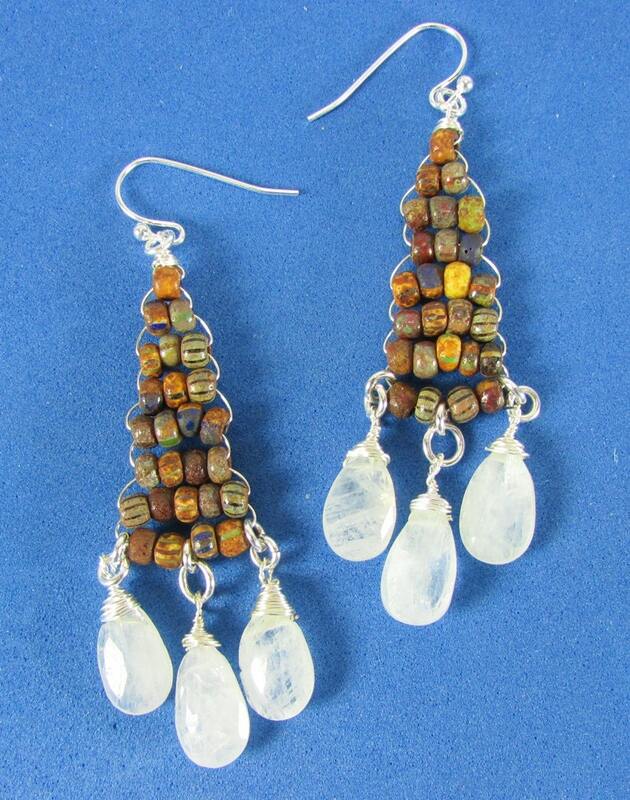 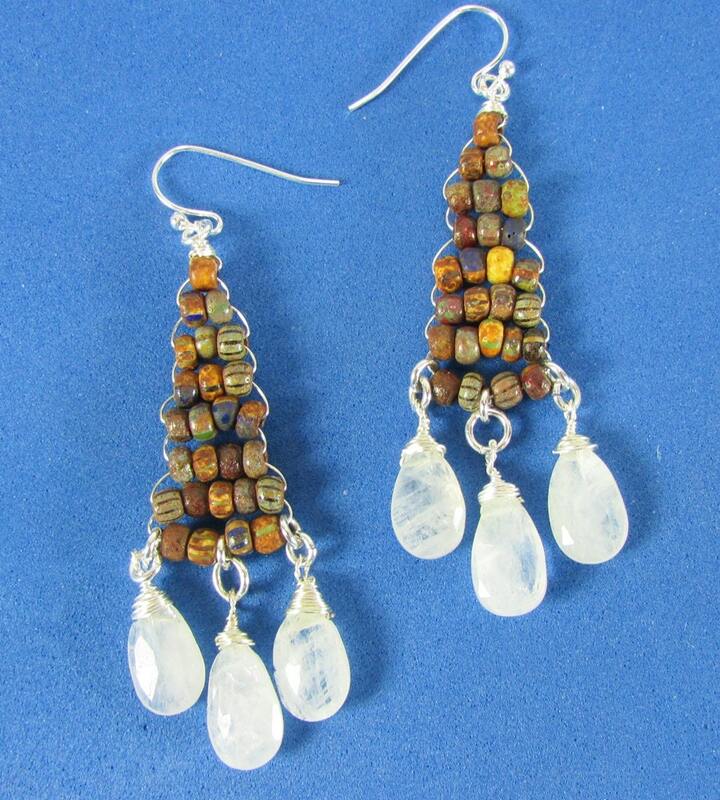 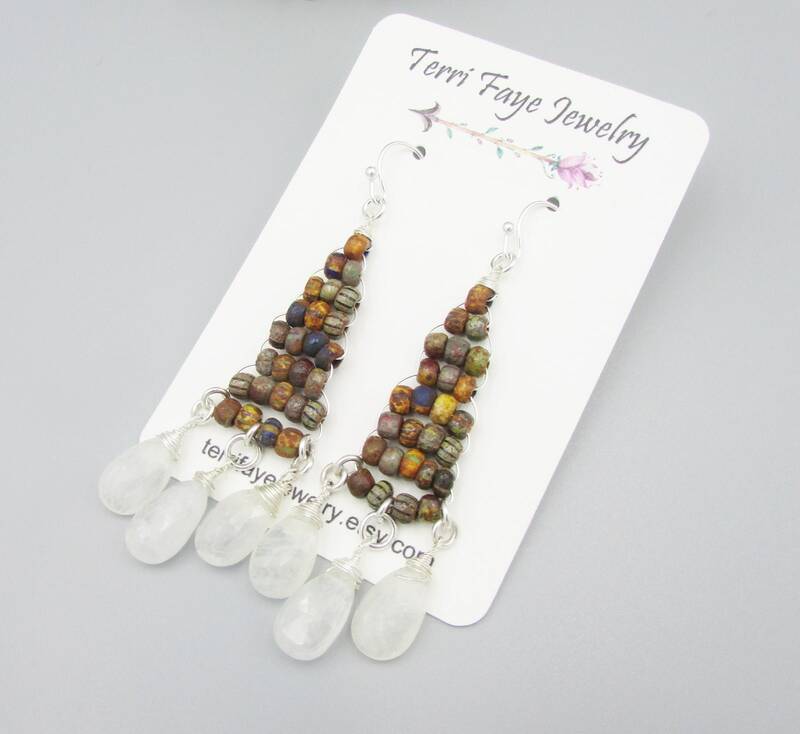 The Moonstone gemstones are about 8mm wide and 10mm long.